Home > Clearance & Discontinued! Close Outs, Discontinued, Old Stock, Used or Returned Parts for Hinckley Triumph models manufactured after 1990. Parts that are perfectly useable for your Triumph Moto! 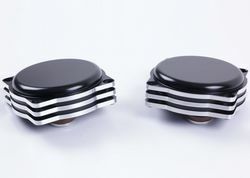 Choice of Black or Silver protectors. Speed Triple 1050 2008-10 : SW MOTECH Alu-Rack & Mount Kit GPT.11.502.15000 [Black] Clearance Price! Alu-rack Is Available In Black Or Silver. TIGER 800xc & 800 Radiator Cooler Guard / Radiator Protector: Special Price! Triumph Tiger 800 & 1200 Explorer Headlight Protection. SW Motech LPS.11.124.10000/B. Upto 2015. EVO Tank Mount Only £25.00 With This Tank Bag! PUIG: America I Touring Style Screen. (Fits Triumph Speedmaster & America) "Tinted" Clearance Price! IBEX Heavy Duty Crashbars Triumph Tiger 800 / 800XC 2011-14: Black SUB STANDARD!. Thruxton, T100, & Bonneville 'Carb' NARK Airbox Removal Kit/Battery Box. AERO Sidecase Set made out of ABS / 600D Nylon. 2 x 31 L.
To improve riding comfort LSL have developed these handlebars to replace the stock clip on bars of the Thruxton. 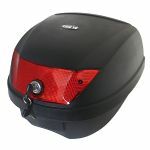 Triumph Speed Triple 1050 QUICK-LOCK GPS Mount (2011on) GPS.11.646.10400/B Clearance Price! Bonneville T100 & Thruxton Ignition Switch Relocation Kit Silver. Special Promotion! TIGER 1050 2007on: R&G Crash Protectors CP0198BL. Reduced to Clear! STREET TRIPLE 675 & R 2007/12: R&G Radiator Guard Black RAD0070 BK Clearance Price! 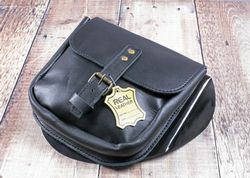 Highway Hawk TeK Leather Camo' Single Sided Saddlebag: HH 02-2686 CLEARANCE PRICE! Cafe Racer Aluminium Dash & Clock Surround. Bonneville T100/SE LSL 724T044 Discontinued Stock! Will not fit ST3 with "Angular headlights"
Bonnie' Thruxton t100 Scrambler Crash Protectors Mounting Kit: Clearance Discontinued Product! SW-MOTECH Quick-Lock GPS Mount KAWASAKI ER6 F/N 2009on. QUICK-LOCK EVO GS Tank Bag. 16Ltr-22Ltr. Black. 1680 Ballistic Nylon: BC.TRS.00.103.2000 +Free Tank Ring Worth £25.00!! TRIUMPH Street Triple 675 & 675R: Carbon Fibre Fly Screen / Windshield 2007-10: Sub Standard! 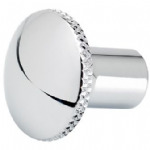 Bar End Mirrors Not OEM Triumph Bars' [1 Pr of L/R Mirrors] 'Without Bar Ends' 22mm CARBON: Clearance Price! 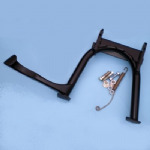 Center Stand for Triumph Speedmaster 2002/10. America 2002/11 Heavy Duty Main Stand. Discontinued Stock Clearance. TIGER 1050/ SE/Sport. Center Stand / Main Stand. Clearance 2 only remaining! A must for DIY servicing! 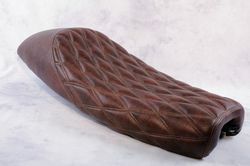 Triumph Rocket III Sidestand Pad: 2007on Classic & Tourer With Factory Floorboards: New Old Stock / Clearance Price! TRIUMPH Rocket 3 Classic Exhaust Flange Covers TR3012 Fits OEM Reference # A9738115. Clearance Price! Few remaining. TRIUMPH Bonneville T100 Thruxton & Scrambler Union Flag Custom Breast Plate. Clearance! 675 Street Triple: 07/13 Delrin Carbon Crash Pad Set/Frame Sliders: [1 Pair] Clearance price! Palmer Products Tiger 1050 Spot Lights Mounting Kit. [Fork Leg Mounting Brackets] 1 Pair. Clearance Price! BLACK Only! 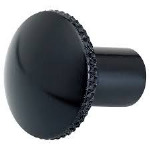 Triumph Twins "Tool Free" Side Cover Bolts [Black] Bonneville, Thruxton & Scrambler. Discontinued Jenks Bolts Product! Mirror Deletes 1 Inch Bars. Rocket 3, Bonneville, T100, America, Speedmaster. Union Flag Logo. 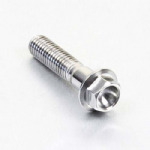 Choke Knob / Efi Fast Idle Adjustment Screw. Black: Bonneville Thruxton Speedmaster America. Choke Knob / Efi Fast Idle Adjustment Screw. Chrome: Bonneville Thruxton Speedmaster America. TRIUMPH Thruxton Bonneville T100 & Scrambler: Crankcase Cable Dresser Clip: Clearance Price! DAYTONA 675 Upto 2009: Cotton Reels - Paddock Stand Bobbins. Purple M6 1 Pair CLEARANCE! TRIUMPH Moto Brake Pad Pin With "R Clip" Replaces OEM # T2020326: Sold Individually. Clearance Price! Overstock Clearance Steel Brake Pad Pin. TT 600 Headlight Cover Dark Tint: Old Stock Clearance! 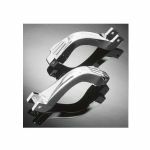 SW Motech HAWK Lighting Clamps Set. "SILVER" For ø 27mm Tube Crash Bars. 1 Pair. 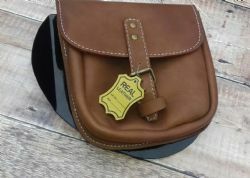 CLEARANCE / Discontinued! SW Motech Quality HAWK Brackets! DAYTONA 675 2010on: Cotton Reels - Paddock Stand Bobbins. Black M8 1 Pair. CLEARANCE! DAYTONA 675 2010on: Cotton Reels - Paddock Stand Bobbins. Purple M8 1 Pair CLEARANCE! DAYTONA 675 2010on: Cotton Reels - Paddock Stand Bobbins. Silver M8. 1 Pair CLEARANCE! DAYTONA 675 Upto 2009: Cotton Reels - Paddock Stand Bobbins. Black M6 1 Pair CLEARANCE! DAYTONA 675 Upto 2009: Cotton Reels - Paddock Stand Bobbins. Blue M6. 1 Pair CLEARANCE! DAYTONA 675 Upto 2009: Cotton Reels - Paddock Stand Bobbins. Red M6 1 Pair CLEARANCE! DAYTONA 675 Upto 2009: Cotton Reels - Paddock Stand Bobbins. Silver M6 1 Pair CLEARANCE! 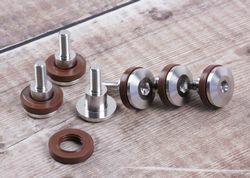 Spool's Paddock Stand Bobbins Daytona 675 Upto 2009. [M6 BLUE] CLEARANCE!